Young, fit and active, Darren was completely unaware he had a heart defect. Under the name Hearts of Cumbria, he then set up a campaign to get The Heart Centre at Cumberland Infirmary open 24hrs a day, rather than just from 9am to 5pm. 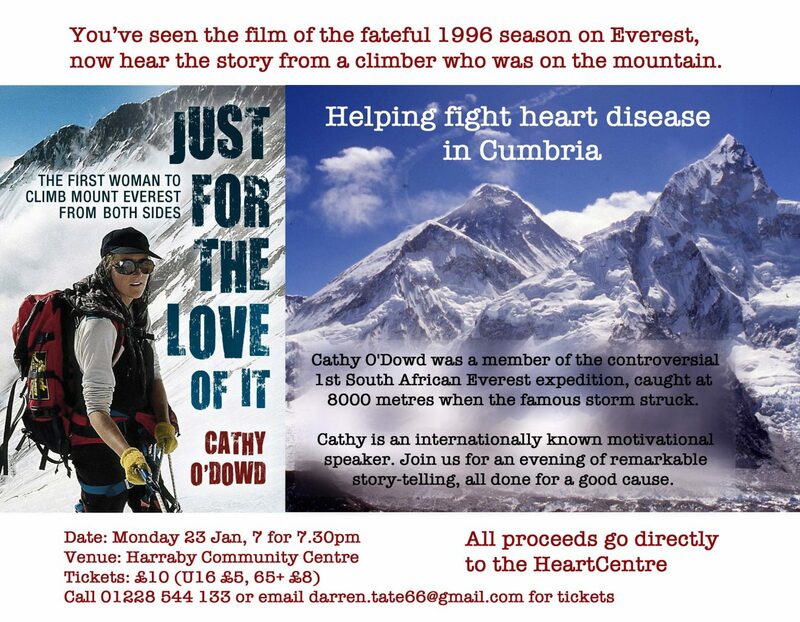 I’m proud to be supporting his ongoing fundraising efforts through a talk about my 1st Everest expedition, an epic ascent in which a team already weakened by conflict within the group, then climbed into the worst storm in the history of Everest. Join us! All costs are sponsored. All ticket money goes to the Heart Centre. 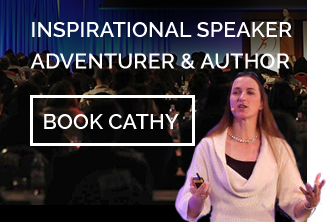 Posted in Everest South, speaking by Cathy O'Dowd on Posted on January 13, 2017 , updated on January 13, 2017 by Cathy O'Dowd.